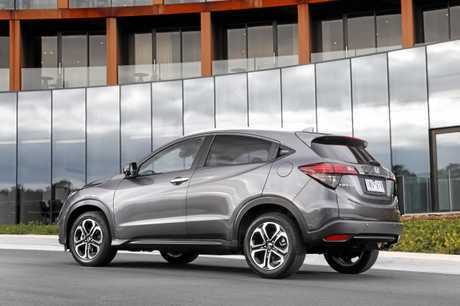 HONDA has pulled a sporty rabbit from its HR-V hat. 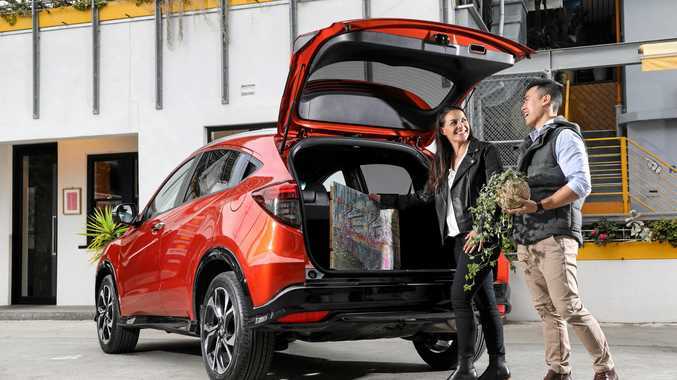 The vehicle equipped with "magic” folding rear seats has added bling to its range with a new RS variant, which arrives as part of a refreshed HR-V compact SUV line-up. Base-model prices remain unchanged in a four-tier range, the entry-level VTi still starts at $24,990 before on-roads, while the new kid on the block RS variant begins at $31,990. A range-topping VTi-LX with all the safety equipment costs an extra $2600. 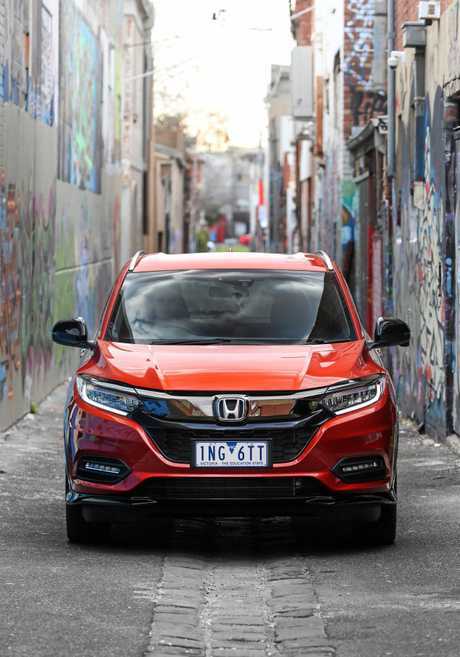 Across the range Honda has added satnav, a city autonomous braking system that can apply the brakes if the driver doesn't act quick enough between 5-32km/h and improvements to the automatic transmission performance. 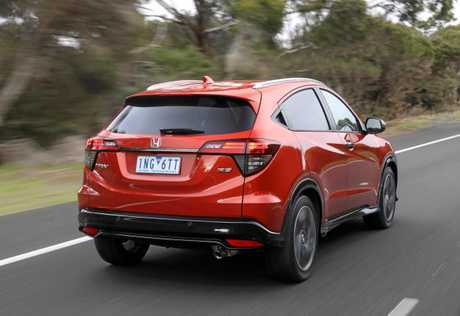 The new star of Honda's HR-V show is the RS, which stands apart with a gloss-black body kit and bigger 18-inch (up from 17-inch) wheels. Despite the RS moniker there is no outrageous athleticism. It's the carry-over four-cylinder engine that runs on standard unleaded (and still used across the range) but it does get improved steering, which means less turns lock-to-lock, as well as a different suspension set-up designed for less roll and a sportier feel with gear changing paddle shifters on the steering wheel. It's Honda's sporting play in an arena with broad tastes. The HR-V appeals to the hip - those looking hip and those looking for hip replacements. "It's really popular with younger drivers because it delivers style and utility,” Honda communications general manager Scott McGregor said. With gentle use of the throttle, the HR-V RS remains settled and quiet. No race car, it trims through ratios with ease and settles nicely below 1500rpm. Push hard to overtake or roar away from the lights and it's a different story, the 1.8-litre engine screaming with little result courtesy of the continuously variable transmission. It's a refined city cruiser that can handle the open road and bends with aplomb - as long as you don't expect it to slingshot its way around the countryside. Comfortable with leather trim, soft-touch materials are used in areas contacted most. The "magic” rear seats drop and fold into the floor to handle bikes or boards, or can sit upright to allow for plants or paintings. That is the HR-V trump card which elevates the HR-V above rivals like the Mazda CX-3, Mitsubishi ASX and Hyundai Kona. 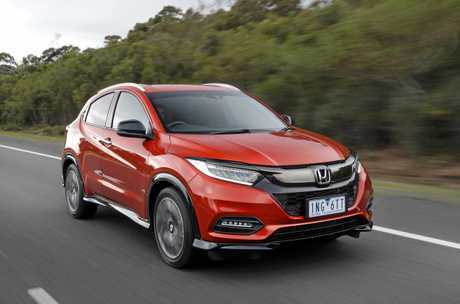 Still absent are smartphone mirroring apps Apple CarPlay and Android Auto - but Honda is working on obtaining the feature in future, along with the full safety suite that would include AEB at highway speeds and lane keeping assist. Base VTi variants have cruise control, driver's digital display, key fob functionality that can drop all windows to reduce heat in the car before entry, colour touchscreen with built-in satnav, LED daytime running lamps, 16-inch alloys, six cup holders up front and full Bluetooth connectivity. 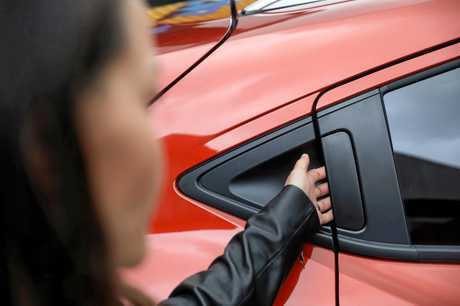 The VTi-S models add rear parking sensors, keyless entry with push-button start, bigger alloys, along with Honda's unique LaneWatch blind spot camera, which projects vision of the left side of the vehicle onto the touchscreen. Top-shelf VTi-LX is the only one with dual-zone aircon, as well as upgraded safety equipment including forward collision and lane departure warning systems, automatic high-beam lights, front and rear parking sensors, as well as a panoramic sunroof. DESIGN New front bumper and grille across the range, along with LED headlamps from VTi-S and above. The new RS model includes 18-inch alloy wheels, piano-black body kit with mirror caps and number plate garnish, honeycomb grille and dark chrome exterior accents. SAFETY Maintains a five-star rating achieved in 2015 and across the range City-Brake Active System helps stop or reduce low-speed crashes that can automatically apply the brake using a multi-function camera with in-built laser radar between 5-32km/h. PERFORMANCE The RS models have a Variable Gear Ratio steering for less turns lock-to-lock, while the suspension is tweaked to reduce body roll. The cabin of the RS and VTi-LX also get more sound-deadening material. Changes to the HR-V are mild but worthwhile. The RS adds some glossy external glamour to a company SUV with a Swiss Army-like rear seating configuration. ENGINE 1.5-litre 4cyl 105kW/172Nm, coninuiously variable automatic transmission, FWD (OK).